his decorative bookmark has an image of President Barack Obama and First Lady Michelle Obama all dressed up for the Holidays. 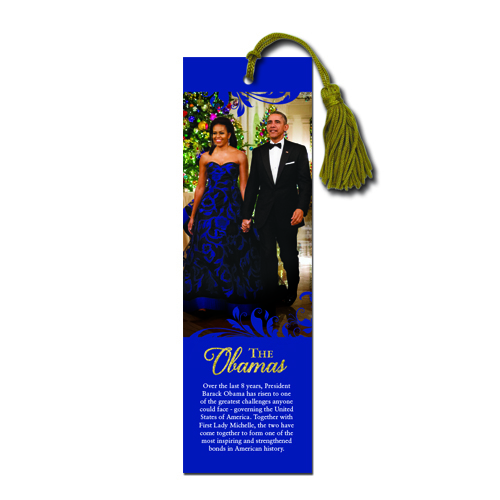 This decorative bookmark has an image of President Barack Obama and First Lady Michelle Obama all dressed up for the Holidays. Reads: From 2009 to 2017, President Barack Obama has risen to one of the greatest challenges anyone could face - governing the United States of America. Together with First Lady Michelle, the two have come together to form one of the most inspiring and strengthen bonds in American history.